All super clinics in Montreal’s east end have begun offering extended hours Monday as part the program — which encourages patients with less severe ailments to seek treatment at clinics rather than hospitals. All super clinics in Montreal's east end have joined the province's effort to relieve pressure on emergency rooms by offering longer opening hours, starting today, during the cold and flu season. Health minister Danielle McCann announced last week that 25 Montreal-based medical clinics agreed to add hours and personnel as part of her "winter clinics" program. The program is aimed at providing cold and flu patients with the opportunity to seek treatment at clinics rather than emergency rooms as hospitals have been over capacity since December. "We will add doctors every night," says Dr. Réal Barrette, director of Clinique médicale Maisonneuve-Rosemont. He said the extra hours should amount to about 60 more hours of service every week at the clinic. He told Radio-Canada that he plans to work four to six hours more than usual each week, but it's an effort made by all staff, not just doctors at his clinic which is located next door to the Maisonneuve-Rosemont Hospital. At the Clinique médicale Angus on Molson Street, some 20 doctors there will see two or three more patients per day, said Dr. François Loubert, the director of the East Island CIUSS. "With colds and flu, we want to increase accessibility for patients," he said, noting he suspects the extra opening hours will be needed for at least three months. 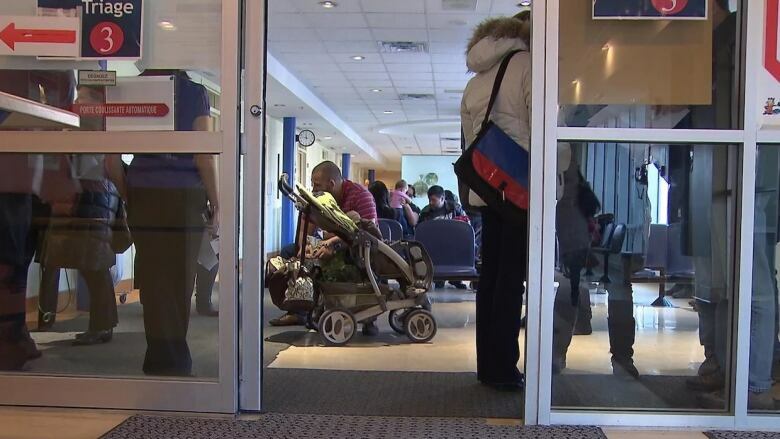 On Sunday, the majority of emergency room occupancy rates in Montreal exceeded 100 per cent. All hospitals in the Montérégie region and southern Laurentians are over capacity as well as the majority of those in Quebec City. While clinics in Montreal's east end are responding to the health minister's request, many others throughout the region are slow to join the effort as agreements haven't been reached with professionals.